During a lecture this morning in the module on Anglican Studies, I discussed the way Anglican spirituality and theology in the 16th and 17th centuries were shaped by and contributed to shaping the culture of the day. I was reminded forcefully this morning during the discussion that followed of how relevant John Donne is to the present debates in Britain. 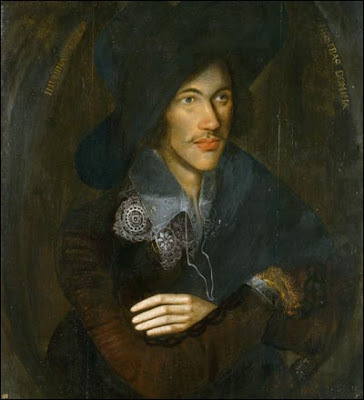 Among the foremost literary giants of the time was the poet and priest, John Donne (1571-1631), who was Dean of Saint Paul’s Cathedral, London. Donne’s poetry is noted for its vibrancy of language and inventiveness of metaphor, especially when he is compared with his contemporaries. His masculine, ingenious style is characterised by abrupt openings, paradoxes, dislocations, argumentative structure, and ‘conceits’ – images that yoke things seemingly unlike. In this poem, Herbert is saying that in prayer it is possible to be transported, even if momentarily, to another realm. ‘Angel’s age,’ ‘the milky way,’ and a ‘tune beyond the stars’ suggest that prayer touches the infinite. The poem concludes with ‘something understood’ – a profound but elusive encounter with the mysterious otherness of God. After James II’s accession, Dryden became a Roman Catholic, defending his new church as the ‘milk white hind’ in the allegorical Hind and the Panther (1687). John Taverner (ca 1490-1545) is regarded as the most important English composer of his era. In 1526, Taverner became the first Organist and Master of the Choristers at Christ Church, Oxford, the college founded a year earlier by Cardinal Wolsey. In 1528, he was reprimanded for his links with Lutherans, but escaped punishment for being ‘but a musician.’ When Wolsey fell from favour, Taverner left Christ Church, he appears to have held no further musical appointments, and may have ceased composing. 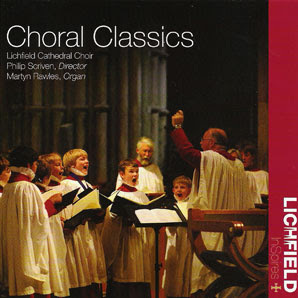 Most of Taverner’s music is vocal, and includes masses, Magnificats and motets, mainly from the 1520s. His best-known motet is Dum Transisset Sabbatum. His best-known Mass, The Westron Wynde Mass, is based on the melody of a popular love song, bringing the mystery of the Mass into touch with the realities of life. It is unusual for the period because the theme tune appears in each of the four parts at different times. 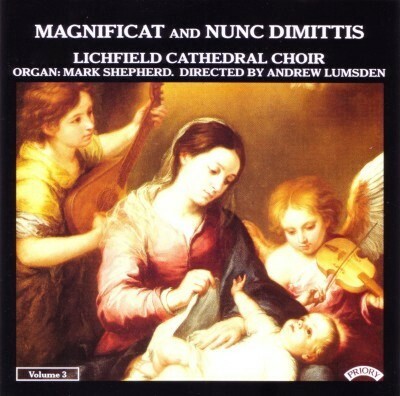 Mediaeval music comes of age in this mature and ingenious Mass setting. Commonly his masses are designed so that each of the four sections (Gloria, Credo, Sanctus-Benedictus and Agnus Dei) are about the same length, often achieved by putting the same number of repetitions of the thematic material in each. John Merbecke (ca1510-ca1585) was a theological writer and musician who produced a standard setting of Anglican liturgy. He is also known for his setting of the Eucharist, Missa per arma justitiae. William Byrd (1539/1540-1623), who was the outstanding composer of his generation, wrote in many of the forms then current in England, including various types of sacred and secular polyphony, keyboard and consort music. 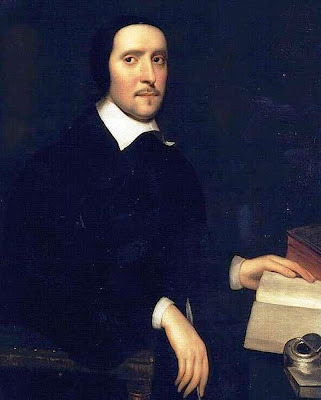 The Reformers, ‘for the comforting of such as delight in music,’ had called for ‘modest and distinct song’ so that ‘the prayers ... be plainly understood.’ Byrd made the regulations work for him in his Ave Verum Corpus (1605), his best-known single work. (Revd Canon Professor) Patrick Comerford is Lecturer in Anglicanism, Liturgy and Church History, the Church of Ireland Theological Institute, Dublin. These notes were prepared for a seminar on 9 February 2017 as part of the MTh Year II course, TH 8825: Anglican Studies in an Irish context. Last week [2 February 2017], we left Mary Tudor on the throne, and began to ask some questions about why the Reformation may have failed in Ireland, compared to the way it eventually succeeded in England. Archbishop Adam Loftus accused the clergy of the two cathedrals in Dublin of dressing up old liturgical practices in the vestments of the new order. 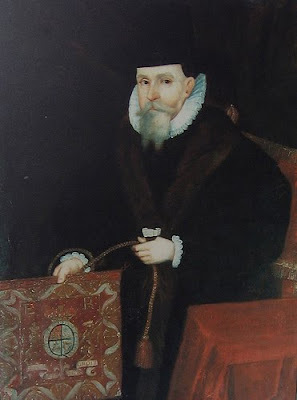 Dublin officials such as James Bathe, John Plunket and James Stanihurst are notable members of a coterie of ‘church papists’ who publicly attended divine services in the 1560s and 1570s but who heard Mass privately in their own homes, where they retained Catholic priests loyal to Rome as their chaplains and as tutors to their children. 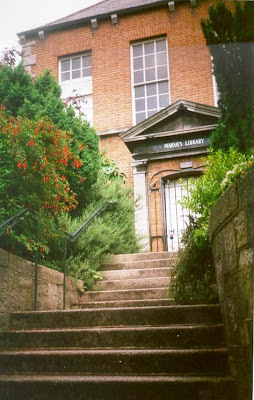 By the opening decades of the 17th century, the Protestant community in Ireland may have been increasing in numbers but remained small, and was based largely in Dublin. 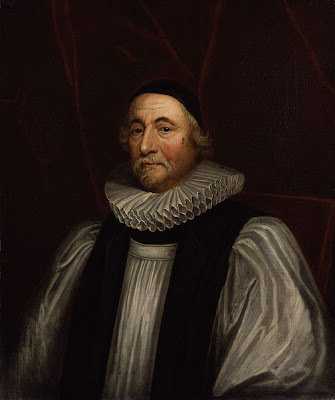 Archbishop James Ussher of Armagh strongly protested that the Church of Ireland maintained continuity with the ancient Irish Church. But the Counter-Reformation was speaking significant progress among the English-speaking urban populations in Kilkenny, Waterford, Cork, Limerick and Galway. The Church of Ireland shaped its own distinctive identity with the adoption of the 104 Irish Articles in 1615, and which we looked at last week [2 February 2017]. But little attention was being given to the re-endowment or the recovery of alienated Church resources. 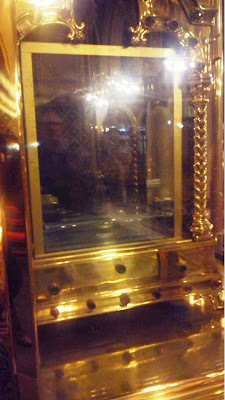 Loftus died in 1605 at his Episcopal Palace in Kevin Street, Dublin, ‘worn out with age’ and was buried in his family vault in Saint Patrick’s Cathedral. When Elizabeth I succeeded, he returned to England, and became strongly committed to the Elizabethan reforms. 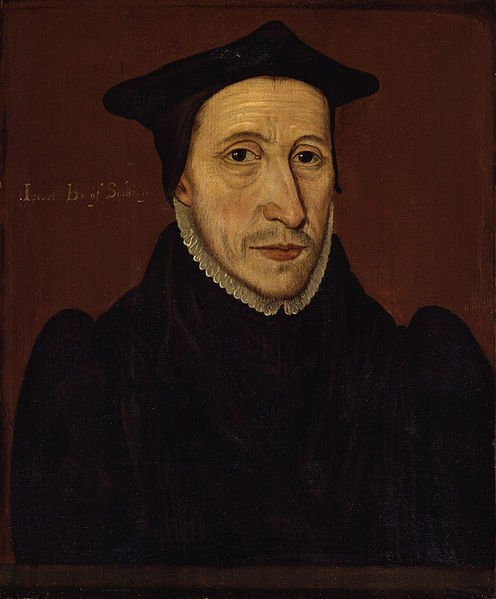 We could see him as the literary apologist of the Elizabethan settlement, expressed in Apologia ecclesiae Anglicanae (1562). ‘As to the Real Presence we are agreed; our controversy is as to the mode of it. 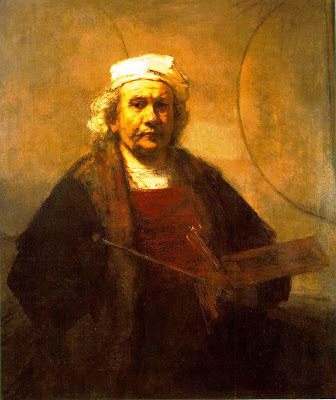 As to the mode we define nothing rashly, nor anxiously investigate, any more than in the Incarnation of Christ we ask how the human is united to the divine nature in One Person. There is a real change in the elements – we allow ut panis iam consecratus non sit panis quem natura formavit; sed, quem benedictio consecravit, et consecrando etiam immutavit.’ (Responsio, p. 263). 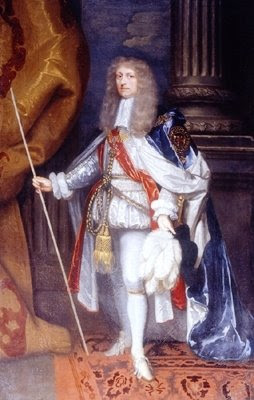 The restoration of Charles II was accompanied by the restoration of the episcopacy in both the Church of Ireland and the Church of England. It marked the end of a period of great turbulence both in Church and State on these islands, and the introduction of a period of relative calm that would last for the best part of 25 years. But it was also a world that was beginning to think differently. 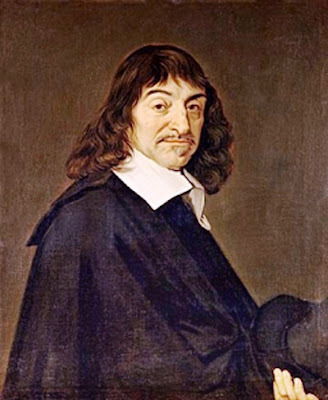 René Descartes (1596-1650), who died in 1650, is best known for his proposition, ‘I think, therefore I am.’ His Cartesian system of thought immediately posed a challenge to the Aristotelian thinking that still held sway in most European countries. And those who opposed the new philosophy included one of the most brilliant figures of the period, Blaise Pascal (1623-1662), who combined mathematical and scientific gifts with a religious faith of unusual depth and intensity. John Bramhall, who was born in Cheshire, came to Ireland with Wentworth and had survived the Cromwellian era as Bishop of Derry. In August 1660, he was nominated Archbishop of Armagh. 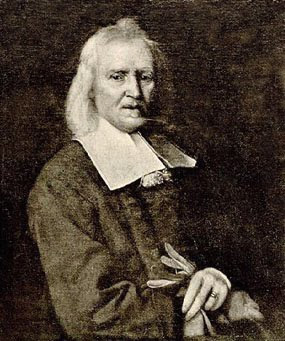 He arrived in Dublin on October 1660 to be greeted by Lord Caulfield (later Lord Charlemont), and was formally appointed on 18 January 1661. The Maynooth church historian, Professor Raymond Gillespie, says that ‘the Church of Ireland after the Restoration was caught between a Catholic anvil and a Protestant hammer.’ One of the priorities of James Butler, Duke of Ormond, as Lord Lieutenant of Ireland (1661-1669), was strengthening the established church. 3, The Ruvignan period (1692-ca 1706). That religious tolerance continued until the fictitious ‘Popish Plot’ of 1678, which led to the execution of Archbishop Oliver Plunkett, a saintly prelate who suffered a traitor’s death at Tyburn on 1 July 1681 on a false charge of having conspired towards a French invasion of Ireland. England’s fear of France was rivalled only by the Pope’s loathing of France, where Louis XIV had asserted royal prerogatives in many areas that Pope regarded as his own, and flirted with Gallicanism, whose model of the church stands up to interesting comparison to that of Anglicanism. (Revd Canon Professor) Patrick Comerford is Lecturer in Anglicanism, Liturgy and Church History, the Church of Ireland Theological Institute, Dublin. This lecture on 9 February 2017 was part of the MTh Year II course, TH 8825: Anglican Studies in an Irish context.